Another quick and ugly post from vacation (thanks to my family for tolerating my obsession even as we drive from city to city to visit loved ones). I wanted briefly to put the 2010 Czech election into the context of the Czech party system over time (the next quick and ugly will, I hope, put it into broader regional perspective, if Josh Tucker of the Monkey Cage doesn’t do it first. For now, all I wanted to do was to post a few pictures about what the most recent elections say in raw quantitative terms about the Czech party system circa 2010. While the actual number of parties in parliament (the green line) did not change from last election to this one other measures suggest a substantially increased number of parties. The red and blue lines show calculations of party system size based on Taagipera and Laakso’s method which show more significant parties in the voting than any time since 1992 and more even distribution of seats in parliament since 1992 as well (and it actually comes quite close to reaching 1992 levels. Until this election, nearly all of the Czech vote went to parties that were created in the first two years after the fall of communism. New parties appeared, but they almost never survived. It is remarkable that even though dozens of new parties appeared in the Czech Republic between 1992 and 2006, the combined vote totals for those parties in 2010 was less than 1%. The Czech Republic’s political scene today contains parties that are (by Czech standards of 20 years of democracy) rather old (60%) or entirely new (39%) and almost none in between. Given that, pattern, the question is what the Czech Republic looks like in 5 or 10 years. If the current new parties show the same survival patterns as their “new” predecessors, they will not exist in one or two election cycles (this is the pattern elsewhere in the region). The old parties may recover some of their voters but probably not all of them and the rest will go on to other new parties which will be equally short lived. The larger this space gets, the larger space it may create for the next election and the more likely the Czech Republic is to find itself with the same patterns as the Baltics and other countries in the region. The Czech party system dog has stopped not barking. The smiling gentleman pictured here–Tim Haughton of the University of Birmingham–is not a blogger, but he should be, and so I have pressured him into sharing his impressions of electoral politics in the Czech Republic in the run-up to today’s election. I have the good fortune not only to profit from Tim’s insightful analysis of European politics on an almost daily basis but also to be able to call him a close friend. With less than an hour to go before we get the results, I want to share his first-hand observations of the Czech political scene in Prague on the ground level on the last day of campaigning, a piece that is not only astute but also beautifully evocative of the city from which he is writing. There are two rules for political scientists studying an election in another country: don’t just visit the capital and try not to rely on your closest contacts. Although I’ve fallen into both traps, in response to Kevin’s request for a post for his excellent pozorblog, here are a few impressions. Thanks to the timing of my students’ exams, piles of undergraduate dissertations to mark and other exciting administrative tasks, I arrived in the Czech Republic late on Wednesday with just one day of campaigning to go. As my wife is a native of Prague the first duty (and pleasure) whenever we visit the Czech Republic is to meet up with the family. In a local watering-hole in the shadow of the Staropramen brewery, with the golden beer quenching our thirst, the debate begins. My wife’s family all enthusiastically jangled their keys in November 1989 welcoming the end of communist rule. They swung behind Klaus and the Civic Democratic Party (ODS) in the early 1990s keen to see rapid marketization, democratization and a ‘return to Europe’, but as the decade progresses they became increasingly disenchanted by Klaus’s arrogance and the corruption, lies and incompetence of ODS, not just at the national level, but also in the capital where the party has (mis)ruled since the early 1990s. Twenty years after the first time they cast their votes in a free election, they remain largely undecided about whom to vote for this time. One member of the family is set on voting for the Greens. The party entered parliament in 2006 and became a member of the Topolanek government, but has haemorraged support in the past couple of years and if the polls are to be believed will fall well below the 5% threshold. The support of former president and iconic figure Vaclav Havel maybe doesn’t count for much in Czech politics anymore, but he does offer a sign of where some of the moral, upstanding people may remain in Czech politics. Another member of the family is inclined to support TOP ’09, a relatively new party formed as the name suggests last year. The centre-right party which offers tradition (‘T’), responsibility (‘O’) and prosperity (‘P’) has at its head Karel Schwarzenberg. The former Foreign Minister (nominated by the Greens to the Topolanek government) is a popular figure who appears everywhere in the TOP 09 material. ‘I am voting for the prince’ declares the family member rather than mentioning the name of the party. The avuncular aristocrat may speak an odd version of Czech betraying his roots and long exile in Austria during communist rule, but he is trusted, not just thanks to his experience and skills, but because he is not afflicted by the disease of Czech politics: corruption. ‘How can you vote for TOP ’09 declares another member of the family? Schwarzenberg maybe a great figures, but ‘what about [Miroslav] Kalousek’. The creator of the new party who shrewdly persuaded Schwarzenberg to join may have been a relatively successful finance minister, but his career is not free from the strains of corruption and dirty dealing. Kalousek – just like leading figures in ODS such as Prague major Pavel Bem and former Prime Minister Mirek Topolanek – is far from being an angel. All member of the family dislike the Communists with a vengeance and have little sympathy for Jiri Paroubek the leader of the most popular party in the Czech Republic, the Social Democrats (CSSD). Paroubek may have given a very positive impression in CSSD’s party political broadcast as he spoke in glowing terms about his country and vision for the future but put him in a media studio and out comes the street fighter. In the car from the airport my mother-in-law recounts in great detail the insults Paroubek and ODS leader Petr Necas traded during the latest radio debate. One other round the table is tempted to go for Christian Democratic People’s Party (KDU-CSL). The party lost many prominent members and support when Kalousek left the party to form TOP ’09. The party’s old-new leader Cyril Svoboda is one of the great survivors of Czech politics who has held office in governments led by the left and the right and has not been stained by a major corruption scandal. His moderate, Christian, pro-European stance isn’t everyone’s cup of tea, but even those enthused to vote KDU-CSL recognize the possibility that the party won’t cross the threshold and will hence be a wasted vote. Where else to head this morning in the city of such whiter than white politicians than ‘Andel’ (angel)? In fact I spent most of the day travelling between Andel and Republic Square. ODS is the dominant party in Prague with strong levels of support. The party offers the best pre-election meeting at least for the hungry and thirsty. The smell of sausages and draught beer entices many of the shoppers to stop and listen to the music and collect the party’s material. Elsewhere on the street young, pretty Czech girls decked out in blue T-shirts (the party’s colour) hand out bags of party material to all who come within range. Just along the road is a small CSSD stall. It doesn’t compete in size with the ODS, but it does offer a fuller bag of goodies including a book written by the party’s Prague bigwig, Peter Hulinsky, and has the clever idea of handing out orange roses – a smart way to get the romantic vote. Even if orange is a slightly odd colour for roses (unlike the party’s sister parties abroad CSSD adopted the colour orange thanks to the advice of marketing gurus in the run-up to the 2006 elections), at least orange looks like an almost natural colour for roses, whereas blue would look decidedly odd. Further along the street are a couple of Green party activists desperately trying to attract the attention of the passing shoppers. Their efforts, even under a sign declaring the greens are not dead, seem not enough to revive the voters who backed the party in 2006. A stall of the small Party of Free Citizens set-up by the Klausite policy wonk Petr Mach has a greater number of party activists sheltering from the drizzle, but it is not attracting much interest, unsurprising for a party which barely registers in opinion polls. A short metro journey away the Prague Communists are having their final rally. A small crowd of mostly white and grey-haired citizens have congregated to listen to some of the city’s communists including the leader of the party’s list in Prague Jiri Dolejs. No-one seems especially enthusiastic, although one of the female speakers who bemoans developments in the past twenty years earns plenty of nodding heads. The criticisms of developments of the past two decades seem rather incongruent given the party’s stall is next to one of the new shopping centres. A symbol of capitalism sure, but one the citizens of Prague seem to be enjoying with relish judging by the number of shopping bags in hands. On the opposite side of the square, the Social Democrats also have a stall. No set-pieces speeches here, just more orange roses, a jazz quartet and the presence of the larger-than-life Interior Minister Martin Pecina who towers above the citizens who are asking him questions. The surprise package of Czech politics in recent months has been the new party Veci Verejene (‘Public Affairs’). No day of campaigning would be complete without seeing something of the party led by Radek John, which if polls are to be believed, could win around tenth of the votes. The party has a stall opposite its Prague HQ. Under a billboard calling for the end of the dinosaurs in politics, but reminiscent of ODS’s event near Angel, VV has arranged young pretty girls to distribute cakes and chocolates to entice the passing citizens, and for some musicians to persuade those who congregate to tap their feet. 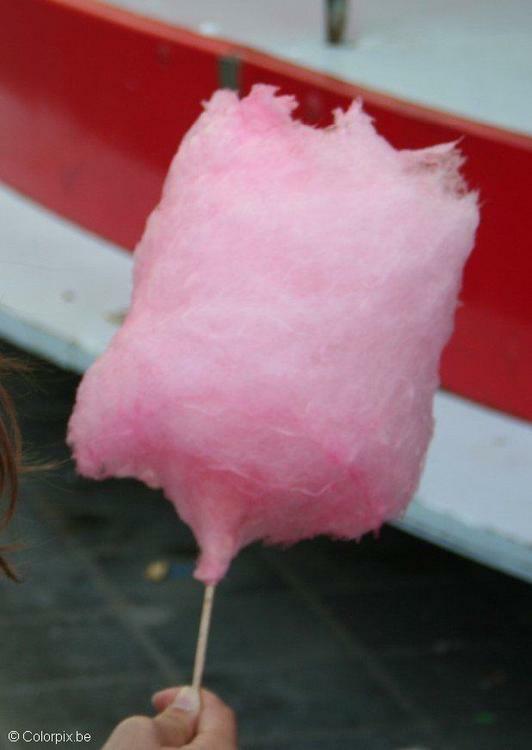 Moreover, they have a candy floss (cotton candy) machine. After lingering for awhile I decide to leave and start walking back to Andel to take the tram back to the in-laws. A few hundred metres from the VV stall a German family with three young children are walking in the same direction as me. They probably know little about Czech political dinosaurs or Radek John, but they are really enjoying the taste of the candy floss. Not everything in Czech politics has such a bitter taste, but the tastiest things are sometimes the offerings of the new to the ignorant. “I think that we are seeing the rise of new parties – and actually if you track other things including the world of Czech extra-parliamentary parties there is a clear ‘below the radar’ trend that has been underway for several years. I tend to see the challengers as still very much (as they have always been) on the centre-right. On the left the challenges are not so serious. SPO(Z) given their current inability to go beyond 3% in the polls, are not, and I think will not become, a serious challenger to CSSD as TOP09 and VV are for ODS and KDU. Crucially, SPO(Z) lack the element of novelty. Suverenita, if they could get the resources and pick up the political momentum needed for lift off, would be a better bet for real a centre-left populist breakthrough: populist message, well known leader, element of novelty including having a female leader (Veci verejne have also traded on the same formula and have done well despite being led by the bluff Radek John). On the other hand, this type of formula was tried in 2006 by Zelezny and the Indepedent Democrats and flopped. There is also the possibility of a recurrence of the 1999-2002 surge of KSCM, but I wonder about how likely that would be to repeat since KSCM lacks the broad appeal and tactical flexibility to capitalise on such opportunities. It would be interesting to compile a dashboard window for support for non-parliamentary parties (including TOP09, which has not made it independently into parliament) to see what trends there are As regards, disillusionment/new party cycles, I would be a little cautious about the viewing this as a very general model to which the CR — after an odd and exceptional period of historically conditioned party system stability — will tend gravitate. An underlying question is the nature of the disillusionment cycles and demand for new parties and specifically whether there is a certain cyclical/fixed background layer of frustration with established parties held in check by diminishing stock of organizational and political robustness or whether we are seeing eruptions of discontent, which fit with some longer term unfolding pattern linked to social change or the changing nature of reform politics in the region. Polis’s 34% for Smer is the lowest score the party has received in any major poll in the last two years, but Polis tends to under-poll for Smer, at least compared to the others. The patterns, however, are extremely consistent: Polis, MVK and FOCUS all show nearly identical seven point drops for FOCUS since January and all, including Median, show approximately ten point drops since a year ago. Why this should be is open to question: the emergence of SaS (I accidentally wrote VV; Freudian slip) and perhaps a few points to the new SDL and perhaps some last minute hesitation by Smer’s many soft supporters who, as election nears, are now forced actually to consider their vote. It is important to remember that in the 2006 election Smer actually outperformed final polls, but these are never a good indicator (or more precisely they are sometimes a good indicator but it is difficult to predict when). Polis also tends to underpoll for SNS–by quite a significant margin–but its trends tend to follow, and it is interesting that after a rise in April in both FOCUS and Polis (large in FOCUS, small in Polis) SNS is in both polls back to levels below its March result, suggesting that the Fidesz boost was short lived. Of course since the Polis and FOCUS polls were taken, we have a new, and perhaps more significant dual-citizenship question which may help SNS, but Smer is also hitting this hard and may pick up much of that reservoir. Polis also underpolls HZDS–interesting that it underpolls all three coalition parties, and strong reason never to consider its numbers alone, especially for predicting government composotion–but as with the other parties, Polis numbers do follow basic trends and here they show the same slow slide as all of the others except Median (about which I have commented frequently elsewhere). There’s not much to see here, but Slovakia’s next goverment may depend on whether its shrinking voting base turns out to vote more than others’. Overall the current coalition dropped two points in this month’s Polis poll, a smaller amount than in FOCUS (4) or Median (3) but this is perhaps to be expected since Polis starts with a lower baseline for the coalition parties (and so they have less to lose). Every single poll shows KDH dropping from a March peak to a lower (but still relatively high) level in May. The question is not the trend but the magnitude. Polis, MVK (and Median) show the party between 11 and 12. FOCUS, by contrast, shows it between 8 and 9. No data that I have tells me which side of this range the party’s scores actually fall. SaS follows the same trend in every poll: continued rise in May. Polis’ jump here is slightly smaller than that of FOCUS (which shows a correspondingly smaller jump for SDKU, so the difference may lie in different measures of supporters of those two parties, or it may not). The party continues to rise and is not facing the sort of “switcher’s remorse” that we saw for SOP in 1998, for ANO, Smer and HZD in 2002 and for SF in 2006. At least not yet. Overall the right shows a point and a half gain in this most recent Polis poll, more or less the same that we saw in FOCUS a week ago and slightly smaller than that of Median. This trend, too, continues. Amazingly both Hungarian parties cross the threshold in this poll even though the total Hungarian electorate as measured by this poll is only 10.4. The actual electorate is probably somewhat larger, so this is good news for Hungarians in Slovakia. It is amazing that these two parties continue in their head-t0-head duel which maximizes both the potential gain–if both do well–and the potential risk–if one drops only slightly below the threshold. I frankly never expected the parties to maintain this kind of parity, and whether they can keep it up is the thing that most intrigues me about the upcoming election results. Polls, Parties and Politics, Part 8: Coalition Math, now with Thresholds! Having just spent quite a bit of time thinking about Czech politics (and expecting to do so again once we get Saturday’s election results) I am struck by how different much of it is from Slovakia–and how much is quite (perhaps increasingly) similar. Unlike Slovakia’s politics, Czech politics still revolves around a left-right axis on economic issues, but the two parties that anchor that axis have weakened and the emergence of new parties clearly suggests the underlying role of at least one or two additional dimensions (corruption is the most obvious). The flux of party death and party birth also seems likely to be similar this year, if not greater on the Czech side. And as in the Czech Republic, the composition of government looks to depend on the ability of parties to cross the 5% threshold of electibilty (see yesterday’s post). But this points back to another difference, extremely narrow but highly consequential for thinking about elections and government formation: in the Czech Republic there is only one party that is hovering around the 5% threshold. In Slovakia, there are four. This is a big deal because those parties are on opposite sides of the spectrum, and every one of the 16 (4^2) permutations has a significant potential impact on who will govern Slovakia. Since then several things have changed. First, we have much more recent polling data (showing a trend away from the current coalition) and second we have both new statements by parties about potential coalition partners (a delicious.com feed of relevant articles is here), and new data from FOCUS/IVO about what party supporters think of other parties (the original report is here). From this data I can create a new version of the graph on a slightly sounder but still quite imperfect basis. The second imperfection relates to some way to quantify the “chemistry” (or usually the lack thereof) in a coalition. To do this I have simply taken IVO’s measurement for the overall level of antipathy that supporters of each party has toward each of the other parties. This is imperfect at best but it actually worked quite well as an indicator of most likely coalitions in both 2002 and 2006 (where I ignored it to my peril). That doesn’t mean it will work this time, but it is also fairly consistent with the kinds of statements that parties make about one another, so it is adequate as an initial proxy. Putting the number of seats on the vertical axes and the level of chemistry (inverse of antipathy) on the horizontal axis yields this lovely graph showing the position of each coalition. No combination achieves the grail of significant size and positive internal chemistry. The closest aspirants are the current coalition and the current opposition, which by this estimation each have exactly the same number of seats–a deadlocked 75. In a parliament in which all eight parties enter, a comfortable margin above 75 seats requires broadening the coalition to include somebody from the “other side” either Smer including a Hungarian party or two, or the current opposition including HZDS. More coherent coalitions, by contrast, have almost no chance for electoral success (and, given Slovakia’s complicated 2+ dimensional political landscape, almost never have). As the asterisk above, suggests, however, it is not enough simply to run an analysis of these parties individually above and below the threshold because there are reciprocal relationships among parties that affect shifts in voters. Although this is certainly true for SDKU, KDH, and SaS, shifts among those three do not have much effect on overall outcomes since they are all above the threshold. The same is not true for the pairing of SNS and HZDS, and especially of Most-Hid and MKP-SMK, whose reciprocity is almost perfect to the extent that it is difficult for MKP-SMK to gain except at the expense of Most-Hid, and (almost) vice-versa. If MKP-SMK falls below the threshold, Most-Hid will almost certainly rise above by about the same margin. The same is true to a lesser extent for SNS and HZDS. As a result, I have built these parings into the overall equation (realizing, but for the moment not caring, that some lost HZDS or SNS vote may go instead to Smer). So here is all the data in one place, but what does it mean. We can cut the data in two ways: by coalition type and by parliament type. SNS + HZDS 38% If all parties in this coalition make it into parliament, it will likely have a majority. But there is a less than even chance (by my estimation) that both HZDS and SNS will make it. HZDS 50% These two coalitions depend both on the ability of Smer’s coalition partner to get into parliament and on the absence of at least one (or more than one) other party to provide the necessary seats for a majority. It appears that these coalitions are not viable if both Hungarian parties make it into parliament. HZDS + (MKP-SMK or Most-Hid) 50% It would theoretically be possible to add one one Hungarian party to a Smer and HZDS (but not Smer and SNS) coalition, though worsening relations make this increasingly unlikely. Fico would have to be desparate to chose this option, but if trends continue he may indeed face relatively few options. MKP-SMK or Most-Hid 100% The members of such a coalition are almost certain to get into parliament (it is highly unlikely that both Hungarian parties will fail), but it only becomes really viable if the other Hungarian party does not make or if both SNS or HZDS fail. Fico may, however, have a hard time forming a coalition with a party (MKP-SMK) that has become the most recent direct target of his campaign. MKP-SMK + Most-Hid 60% This coalition would have a clear majority but it is only as likely as the weakest of the Hungarian parties getting into parliament. It is also highly unlikely that Smer would opt for two feuding Hungarian parties (a recipe for disaster) if he could manage any other coalition. KDH 100% This coalition–which is almost certain to have both members in parliament at levels that produce a majority–actually stands in for any coalition between Smer and one of the current “right wing” Slovak parties. But it is almost impossible to imagine either of the members of this coalition wanting to do this, since both would not suffer with their supporters and especially since KDH unconditionally excluded the possibility and Smer excoriated KDH in response. MKP-SMK + Most-Hid 60% This coalition would probably have enough votes for a majority (though if both Slovak national parties enter parliament that is in question) but it is dependent on both Hungarian parties entering parliament which is far from a sure bet. Several months ago this coalition did not seem likely to have a majority. Today with declines in the Smer and increases in SaS it has become plausible. The recent citizenship-law issue, however, raises questions about the acceptability of MKP-SMK for the Right that are difficult to answer at present. (MKP-SMK or Most-Hid) + HZDS 100% If one Hungarian parties does not make it into parliament, there is still a chance for it to come close to a majority but only two of three of the parties currently on the line fail. Interestingly a failure by one of the Hungarian parties actually helps magnify the chances of a coalition including the other, making the current sharp competition between the two Hungarian parties more rational than it might seem. If we see a continuation of the emerging differentiation between MKP-SMK and Most-Hid related to Hungary’s dual citizenship law, then only the variant involving Most-Hid becomes viable, but this, of course, would depend on Most-Hid actually making it into parliament. MKP-SMK + Most-Hid + HZDS 30% There is a slight chance if all of the current major parties succeed that this coalition of all current opposition parties and HZDS would be theoretically possible alternative, but its likely that some other smaller combination would still gain a majority. Any way we slice it, it looks as if the thresholds will be key. More than half of the coalition possibilities rely directly on parties that are just on the threshold of survival and those that do not are still dependent on threshold effects to determine whether they will muster a majority and whether there are coalition possibilities that may be more attractive to some potential members. We will not have a very good idea of what is even possible until we the results are in. The announcement of KDH’s exclusion of Smer at the beginning of the week led me to think that there may not be quite as much coalition speculation as in the past because of the hardening of opposition-coalition lines, but the increasingly sharp reaction of both Smer and SDKU to MKP-SMK’s position on the Hungarian citizenship law may bring us back to a position of active coalition jockeying but as the case of the Czech Republic shows, government coalition-making gets much harder if one major party is not coalitionable. I will deal with the actual poll results in a few future posts, but I want build on the introduction of the Czech dashboard by talking about broader trends and in particular by assessing the magnitude of “new party eruptions,” the dominant feature of the current Czech campaign. In my own recent study of populism and new parties, the Czech Republic has become interesting to me for two reasons: first because it is a “dog that didn’t bark”–its “new party cycle” remained confined to a small segment of the political spectrum for over a decade; and second because (as in Hungary, which just saw its highest degree of new party vote since the fall of communism) the Czech “dog” has begun to scratch at the door and looks set to start yapping. Several features stand out. First is the relative stability of the three largest parties. The two larger parties, the orange CSSD and the dark blue ODS swapped positions twice during this period but (with the exception of two dark years for CSSD under Spidla and Gross in the early 2002, remained in competition for the top spot well ahead of the others. The red line which denotes the Communist Party stays remarkably stable between 12% and 20%, almost unchanged from month to month for the last four years. Below them the lighter blue KDU-CSL remained in stable fourth place (usually) but showed a slightly declining trend. Together, these four parties have formed the core of the Czech party system from 1992 until the present. Thus far stability. The second interesting feature is nearer the bottom of the graph, where parties are born and die. The Czech Republic has regularly seen activity in this zone but it has usually been of a particular type, usually a fifth party with market liberal and cultural libertarian positions. These parties kept the zone filled because they usually exhibited a limited lifespan: ODA lasted from 1992 until 1998, US from 1998 until 2006, SZ from 2006 until (and perhaps beyond) the present. 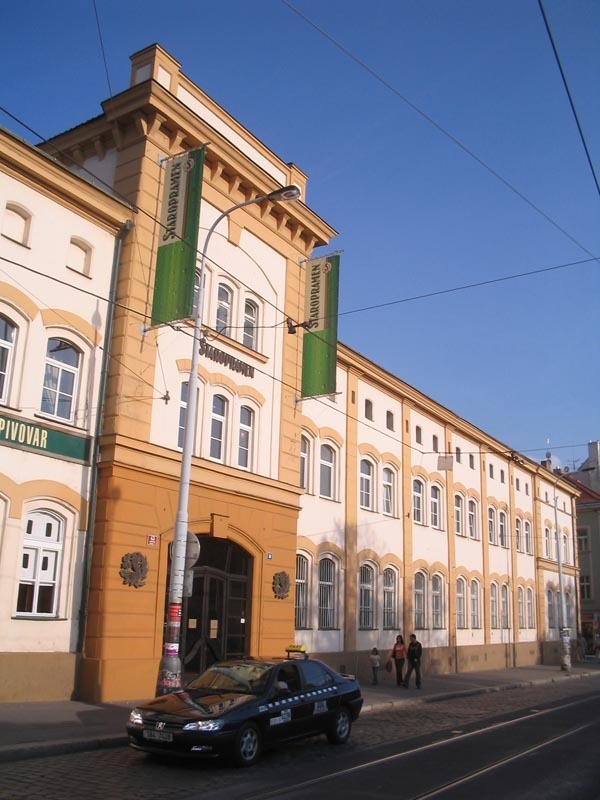 (In the mid-1990’s the Czech system also included a sixth party, the anti-Roma Republicans, but their demise did not lead to a substantial replacement except for the vocal but small DS and NS). The center-right parties account for a considerable degree of the variability of the system shown above, and the combination of stability among the main four parties and the failure of other new parties to emerge kept the “extra-system” volatility low. This seems to be changing. The graph below shows the a smoothed line for the combined share of preferences for the top 1,2,3 and 4 parties. Between the early 2000’s and mid-2009 this remained stable, within around 5 points of 90%. But in the last year something new has emerged. The stability of the Czech system now faces significant changes, and there are good arguments to be made that these are fundamental changes rather than merely cosmetic ones. First, as the graph shows, the position of the top four parties have dropped considerably to the point that the share obtained by the top party is now smaller than the share obtained by parties outside the top four. Despite similarly high past levels of dissatisfaction with the major parties, this same trend did not emerge before the 2002 or 2006 elections. Second, the opinion shifts are poised to have a significant shift on the actual composition of the Czech party system. In the past four elections the Czech system has worked like clockwork: the four stable parties gained seats in parliament and the fifth faced a birth-death cycle every two elections (ODA elected in 1992 and 1996, dead in 1998; US elected in 1998 and 2002, dead in 2006) but the cycle has intensified and spread. According to the most recent poll results (available in the Dashboard) SZ does not look likely to follow ODA and US by retaining seats in parliament. Furthermore, there is a not insignificant chance (though also no guarantee) that 2010 will exclude two parliamentary parties–not only SZ but also KDU-CSL is at significant risk–and the birth of two others–both TOP09 and Veci Verejne (VV). The third shift, a bit smaller, is paradoxically signified by the stability of the Communist Party. In past election campaigns, voters on the left have signaled dissatisfaction with the Social Democrats by opting for the Communists. This year, despite significant dissatisfaction and declining CSSD preferences, the Communists have seen no gains at all. Instead, voters from CSSD have left for Zeman’s SPO and probably (though I don’t have the data) for VV. It is unlikely that SPO will be elected to parliament (its rise has stalled according to the most recent polls), but its ability to attract a a measurable share of the vote suggests that the Communists are no longer the only (or indeed the main) reservoir for the newly dissatisfied (or that if they are, SPO is attracting some of those dissatisfied in turn with KSCM). The graph below offers a very loose, schematic hypothesis about the ebb and flow of voters within the Czech system. It suggests that the current situation is characterized by the potential for new alternatives on the left and by the emergence of alternatives on the right that draw not only from ODS–there has always been a significant share of voters that agreed with ODS’s positions but did not like the party itself–but also from KDU-CSL. There’s a new button on this blog that leads to a new page with graphs of all major Czech political parties in all major polls. This took longer than I had hoped, but I introduce it today with delight because it allows me to return to something I have always loved. I started my life in Eastern Europe in Bohemia (in Plzen) and the Czech Republic was central to my dissertation and book research. My interest waned a bit in the early 2000’s, however, as the country’s politics seemed to be settling into a rather dull alternation between left and right governments. But the emergence of the Greens in 2006 sparked my curiosity and the developments in the last several years have brought me back to the Czech Republic with great interest. This is not necessarily good news for the Czech Republic: “May you live in interesting times” is not really a Chinese curse, but there should still be some sort of travel advisory for countries frequented by political scientists. The second feature of the dashboard is a shorter term view for each party showing the level and trend of each public opinion poll as well as an overall monthly average. The use of multiple polls is a far better approach than approaching each poll tabula rasa and drawing conclusions that change dramatically from day to day. Several sites including Lidove Noviny and MFDnes and the idiosyncratic but excellent Volebni Preference have begun to aggregate surveys, but they do only for individual polls or, at best, trends found by individual polling firms over time. The following graph, for example, shows development of preferences for the last 18 months for ODS for all major firms. This dashboard is not the final word–it lacks an estimate of the overall number of seats (more complicated in the multiple-district Czech Republic than in single-district Slovakia) and a more contextual analysis. The first of these tasks will have to wait until the coming election provides me with a baseline. The second is much easier and in coming days I will provide much more detailed analysis of Czech public opinion dynamics and, with a bit of luck, more extensive election-eve coverage. One last note: unfortunately these graphs don’t work on older versions of Internet Explorer (and for all I know, new ones too). I hate it when websites say “best viewed with…” but in this case there simply is no analog that I can use for these graphs that works with IE. First, with one exception these results are highly consistent with last month and they are generally consistent with the previous months of FOCUS polls, both in terms of levels and trends. We do not yet know how these will translate into final results (their validity for predicting the outcome is uncertain) but they seem to be measuring the same thing consistently over time (their reliability appears to be high). The one exception I mention above is SNS which leapt up by 2.3 points in the April poll and has now dropped by 2.5 to 6.1, the second lowest result for the party in a FOCUS poll since 2004. I had a feeling that the April number was much too high, though the Fidesz victory in Hungary and the smaller rises in other polls offered reasons for thinking there could also be some substance to the increase. Just as journalists attributed the rise to the Hungarian election, they are now attributing the fall to the SNS billboard scandal. My impression is that neither of these had a major effect and that much, though not all, of the shift was an artifact of the poll itself. In any case, this newest result is far closer to the overall trend and puts SNS quite close to the deadly 5% line. I’m still inclined to think they will cross it, but I have less reason to believe that today than I did yesterday. KDH falls slightly. With SDKU staying stable, there does seem to be a slight reciprocal relationship between KDH and SaS. This is not because the core voting bases are interchangeable–they are in fact quite different–but I think because KDH has often gained as the second choice of voters who shared SDKU’s positions but did not like SDKU. Those voters now have another home in SaS. The Hungarian parties continue to duel around 5.5% each. In FOCUS polls the parties have varied, with Most-Hid overtaking SMK-MKP in March, then falling back, and then recovering to within .3. Had one or the other of the Hungarian parties shown a commanding lead, I think we would have seen the other die or try to merge. As it is they neither party (and neither party’s voters) has any motive to do so. This is a high-risk game: if it works, there will be more Hungarian representation in Slovakia’s parliament than ever before (and very probably in government as well); if it doesn’t, the representation will be at its lowest level since the early 1990’s. There will be more to say on this when we see the full FOCUS numbers later this week. UPDATE: The full FOCUS numbers are in and do not show much new. FOCUS is the only firm to look closely at smaller parties but these do not get much attention from voters: the KSS and the renewed SDL together and even the residual ZRS attract only 3%, less than KSS regularly attracted only a year ago, suggesting that the Smer is losing its support not to other “left” parties but to somewhere else. It is also worth noting that despite considerable attention, and thought that it might compete with SNS, the radical anti-Roma party Our Slovakia (NS) attracts only 0.4%. (Of course people may be unwilling to admit it but I tend to doubt that NS will do much better than this.) It is also interesting to note that among the splinters of HZDS, Mikus’s New Democracy (ND) attracts 0.7% while Urbani’s AZEN, again despite a rather prominent media profile, did not receive a single preference from among the 1000 people surveyed!